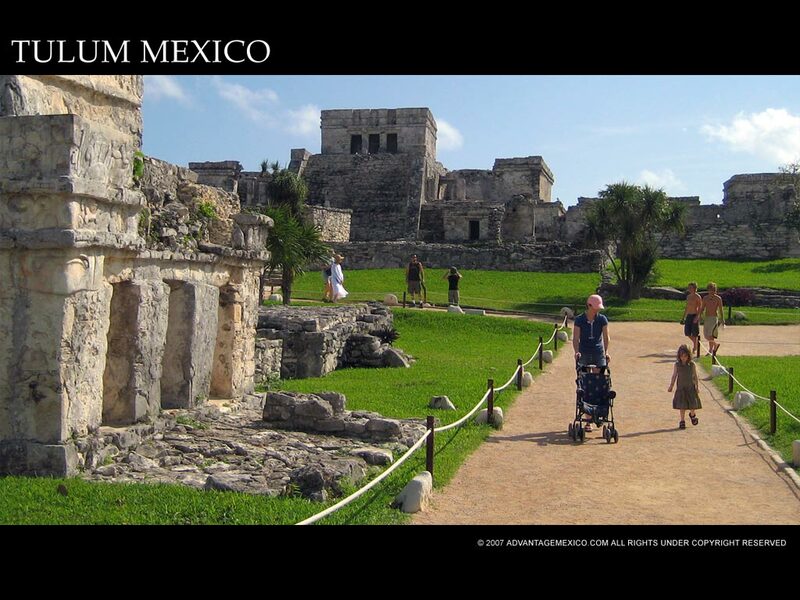 The Tulum Ruins are located 80 miles (129 Km.) 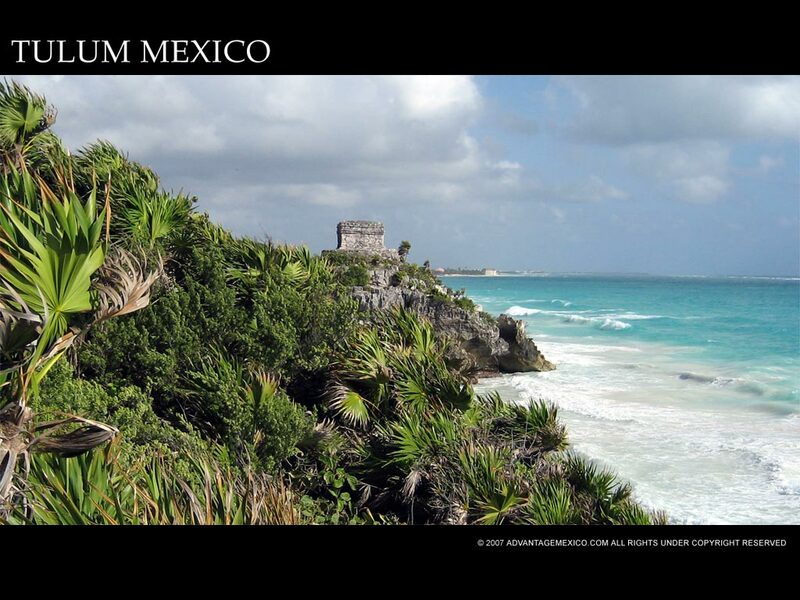 south of Cancun. The city is thought to have peaked between 1000 and 1600 AD . 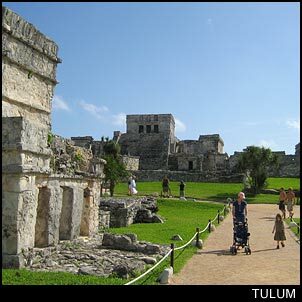 . . though legends of a skyway which linked Tulum to Coba (which died out around 900 AD) suggest that Tulum may have been occupied before the city we now see. 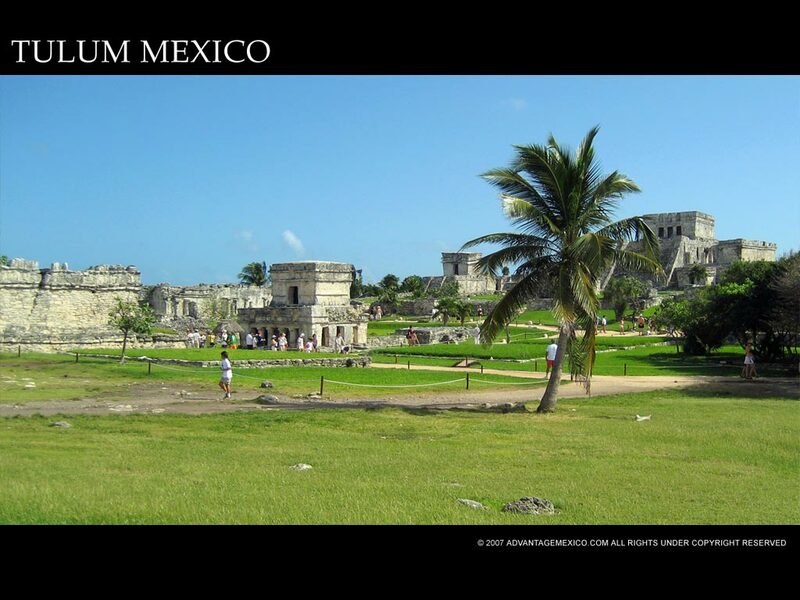 In the 1517 when Juan de Grijalva saw Tulum from his ship, he described it as a city so large that "Seville seemed to us neither larger nor better". Eye witness accounts speak of the white walled city with lavish painted reliefs in bright reds and blue . 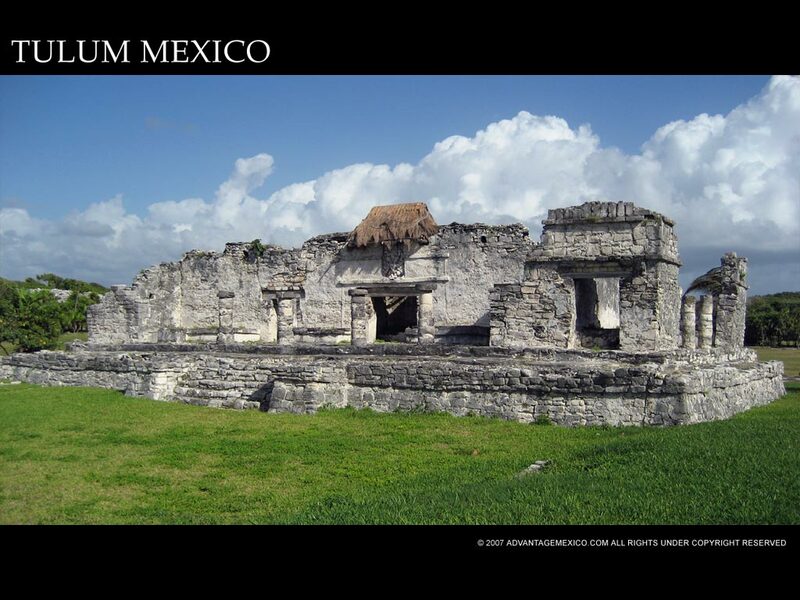 . . Tulum is full of the reliefs which no longer bear the bright colors, but you can imagine what it might have looked like. 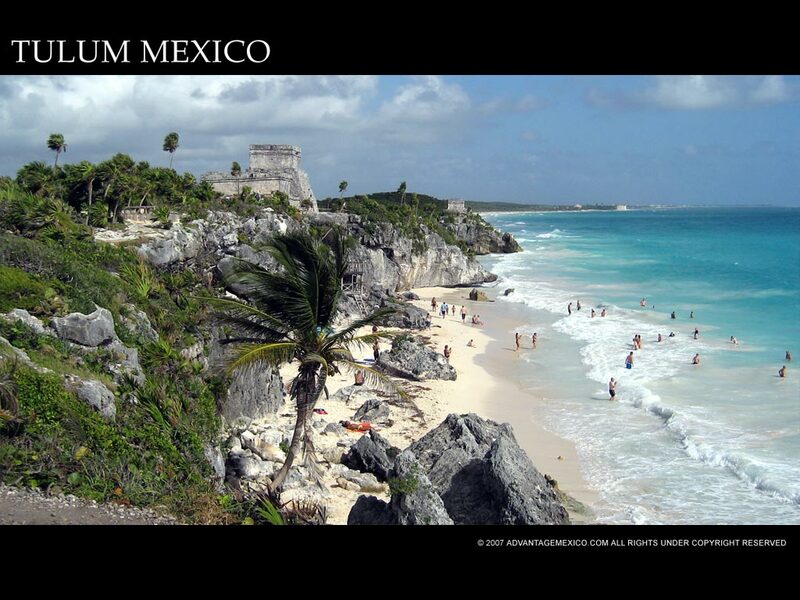 Imagine a city on a protected by a cliff overlooking some of the most beautiful beaches in the world. 3,600 feet of walls with stone guard towers protecting the other three sides. Five narrow entrance ways that allow for one person to pass at a time. Impressive fortifications which helped the city repel an attempt by the Spaniards to conquer the city. That's what you would see on the outside of the city. 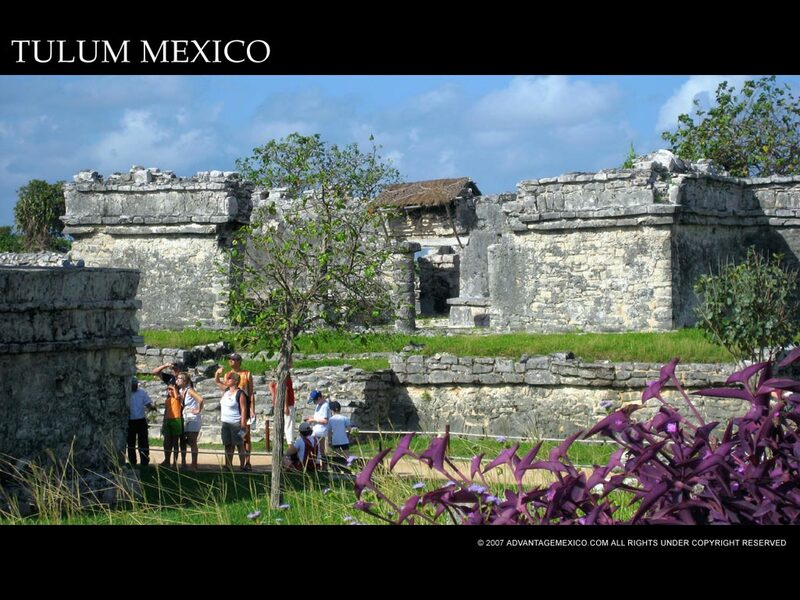 Within the walls of Tulum you can still see what was . . . and it doesn't take a lot of imagination to do so. A port city with a lighthouse (el castillo) which ingenuously used a light behind two narrow windows . . . when the ship could see light in both windows, they knew they were aligned with the narrow entrance to safely make it through the reef. Allegedly a playground for the movers and shakers of its day . . . not hard to believe. Descriptions of its lavish decor suggest the presence of wealth and power. 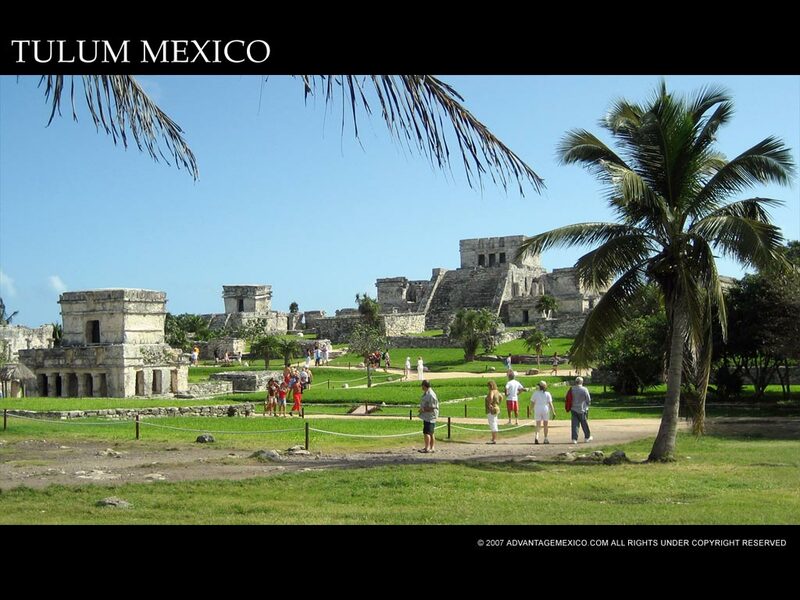 The close proximity of Tulum to Cancun, Cozumel, and Playa del Carmen have made it one of the most visited sets of ruins in all of Mexico. 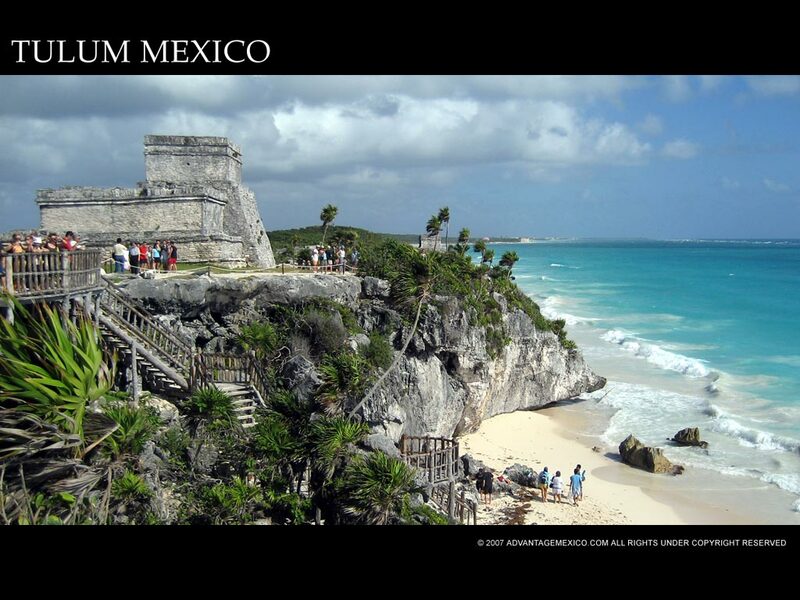 Not as large or impressive as Chichen Itza, Uxmal, etc., but still, A MUST SEE.